On January 7, 2013, shortly before 2 PM, Chicago police officers Kevin Fry and Lou Toth were driving westbound on 75th Street, in a poor, African-American section of the South Shore neighborhood. They were in plainclothes in an unmarked Crown Victoria. As they approached Essex Avenue, a silver Dodge Charger, northbound on Essex, cruised through a stop sign and turned left on 75th, not far in front of the officers. The driver was alone in the car. Fry and Toth noticed the Charger rolling through the stop sign, and also that the car had Wisconsin plates. Toth, who was driving, followed it for several blocks, while Fry ran its plates on a computer. The Charger came up clear: there were no records indicating it had been stolen or was connected to any crimes. Fry and Toth were tactical officers, whose job was combating serious crime, often gang related; they weren't generally expected to write tickets. When the Charger came up clear, Toth took a left at the next street. Almost immediately, a call came over the officers' radio of a battery in progress at 76th and Essex. Moments later, the call was updated to a robbery in progress. Then it was updated again, to a carjacking—involving a silver Charger. "I think that's the Charger we just ran," Toth said to Fry. Toth got on the radio and asked if the Charger was the vehicle taken in the carjacking. The dispatcher said it was, and also told him it had Wisconsin plates. Toth turned right twice, heading back to 75th. At 75th, the officers could see the Charger a couple of blocks west. Traffic was light. Toth stepped on it, and the officers soon closed the gap. At 75th and Jeffery, the Charger was stopped at a red light, behind a van. Toth swung into the right lane and pulled up to the right of the Charger and slightly ahead of it. He and Fry exited their car, guns drawn, and advanced on it, Toth crossing in front of it and Fry at the rear. "Police, put your hands up!" Toth shouted to the driver as he neared his door. The driver raised his right hand but appeared to be reaching to the floor with his left, Toth would later say. Then he jumped out of the car and dashed across 75th Street. Toth didn't see anything in his hands. The suspect, a slight African-American teen who wore his hair in dreads, sprinted between two parked cars to the sidewalk on the south side of 75th, turned right, and raced westward, with Toth close behind. With his Sig Sauer .45 semiautomatic pistol in his right hand, Fry began running diagonally across 75th. He was in the middle of the street, ten or 15 feet from the north-south crosswalk just east of Jeffery Boulevard, when the suspect reached the corner. Toth had lost ground and was eight to 12 feet behind him, Fry would later estimate. A moment later the suspect, 17-year-old Cedrick Chatman, would be lying on the pavement just around the corner on Jeffery, mortally wounded by one of four bullets Fry fired. Chatman was unarmed. What happened in that moment before he was shot is now the subject of a federal lawsuit filed by Chatman's mother, Linda Chatman, against Fry, Toth, and the city. It's also an issue in a murder case scheduled for a jury trial this summer. Fatal police shootings of unarmed African-Americans have become all too familiar nationally since officer Darren Wilson killed 18-year-old Michael Brown in Ferguson, Missouri, last August. In November, 12-year-old Tamir Rice, who was holding a toy gun, was slain by a police officer outside a recreation center in Cleveland. In April, Walter Scott, 50, was killed by a police officer who shot him five times as he was fleeing after a traffic stop in North Charleston, South Carolina. Seventeen-year-old Laquan McDonald was armed when Chicago police shot him fatally last October on Pulaski Road near 40th Street. McDonald, a ward of the state, was holding a knife and acted erratically when police arrived. He was shot 16 times, with all the bullets fired by only one of the six officers present. The shooting was captured by a police cruiser's dashboard camera. Federal and state prosecutors are investigating the killing, and the video has yet to be released publicly, but last month the City Council voted to pay McDonald's family $5 million to preempt a lawsuit. The shooting of Cedrick Chatman happened before any of these police shootings—and, like most such shootings, it made headlines immediately after it occurred, and then quickly disappeared from the public eye. 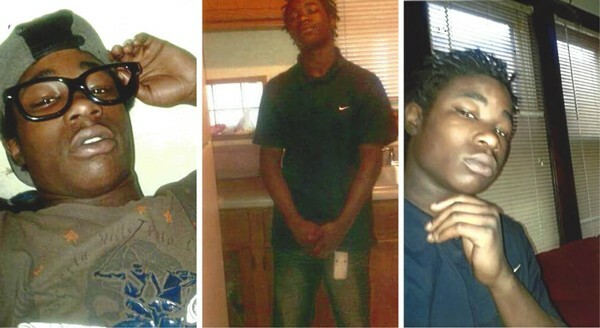 Chatman is one of 118 people to have been shot fatally by Chicago police since 2008. Since 1986, more than 1,600 people have been struck by bullets fired by Chicago police officers—an average of more than one person a week. It's hard to know how those figures compare nationally, because law enforcement agencies aren't required to report data to the FBI on their use of deadly force. Media accounts of the Chatman shooting were based mainly on statements from Pat Camden, a former Chicago police officer who since 2011 has been a spokesman for the Fraternal Order of Police. Reporting on the Chatman incident, the Tribune said officers caught up to a Dodge Charger taken in an armed carjacking. The paper said that according to Camden, the suspect appeared to reach for something in the passenger seat before bolting from the car. The officers saw a black object in his hand; they chased him until he turned towards them and appeared to be pointing the object at them, at which time one of the officers, believing the object to be a gun, opened fire. The object turned out to be an iPhone box. Camden told NBC Chicago that when Chatman was being chased, one of the officers saw he was holding something, and he "hollers at his partner, 'I don't know what it is. He's got something in his hand.' The guy turns. The officer, at that point, in fear of his life, thinking the object could have been a gun, fires and hits the individual." An officer gets "that mental image of somebody who takes a vehicle at gunpoint and later he's reaching for something in the car," Camden told the Sun-Times. "The picture is pretty well painted." But the picture Camden painted had some flaws. The car wasn't taken at gunpoint, or with any weapon—nor did the radio report Fry and Toth heard describe the crime as an armed carjacking. Neither officer hollered anything about Chatman having something in his hand; nothing was said by either officer from the time Chatman fled the car until he was shot, Fry and Toth acknowledged in depositions last summer. And Chatman didn't point anything at either officer, Fry and Toth also acknowledged. Toth said he never saw anything in Chatman's hands. Before Fry fired, Chatman made "a body motioning toward his right side," Toth said. Fry said he saw something dark in Chatman's hands, assumed it was a gun, and fired when Chatman made a "slight movement" to his right. The police would all be "singing the same tune as Camden," says Brian Coffman, one of the lawyers representing Linda Chatman—except that the shooting was videotaped. A police department camera at the intersection captured the incident, as did cameras at a food mart on the southeast corner, but those videos are grainy, Coffman concedes. He says the clearest view of the shooting and how it unfolded came from a camera at South Shore International College Prep, which is on the southwest corner of 75th and Jeffery. That camera is several hundred feet west of the intersection where the shooting occurred, so the images are small, he allows. The suit asserts that Chatman posed no threat to Fry, Toth, or anyone else when he was killed "with malice, willfulness, and reckless indifference." It was filed in August 2013. The city's lawyers didn't turn over the videos to Chatman's lawyers until February 2014, and before they did, they won a court order barring the plaintiff's lawyers from releasing the videos publicly. What the video does show clearly is an officer pointing his gun at the decedent for a short period of time and the decedent collapsing to the sidewalk. Due to the low video quality as well as a high color contrast due to the sun's position in the sky, one cannot see the detailed movements of the decedent or discern the time when the shots were actually fired or the time of the impact injury. This paints an incomplete picture, which could be severely prejudicial to the jury pool, causing them to form conclusions without regard to a complete explanation. Better to let the jury see the videos for the first time at trial, with "fresh eyes," the city's lawyers said in their motion, and with "full context of the stories of the officers who were present and the multiple experts whom are likely to be retained in this case." But if the tables were turned and Chatman "had actually stopped and pointed a gun at the officers," Coffman says, "they'd be waving that video on the news." He maintains that the video shows no turn toward Fry whatsoever by Chatman; it simply shows him sprinting away from the officers—and Fry acting as "judge, jury, and executioner." I sought to interview Fry and Toth, but the police department's news affairs office said the officers declined. The city's lawyers didn't return my calls. But a report they recently gave to Chatman's lawyers from an expert they've retained outlines the "full context" of the shooting as the city is likely to present it. The expert, Emanuel Kapelsohn, has been a firearms and use of force instructor for 35 years. 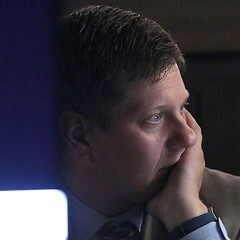 In February he visited the scene of the shooting with Fry, Toth, and the city's lead lawyer on the case, Tiffany Harris. Kapelsohn has also reviewed the videos and some still-frame photos made from one of the videos. In his report he says one still-frame photo shows Chatman "with his head and body rotated to the right, partially back toward Officers Fry and Toth . . . consistent with Officer Fry's account of what he observed that caused him to fire." Coffman says the city's lawyers have yet to provide the plaintiff's lawyers with that photo, and that he doubts it shows what Kapelsohn claims it does. Coffman also says the videos show a woman in a black car just around the corner on Jeffery, waiting for the light to change when the shots were fired—and that a police photo taken after the shooting depicts what appears to be a bullet hole in her passenger door. He says one of the videos captures the startled reaction of two youths walking on the sidewalk on Jeffery, approaching the corner; they immediately flee in the opposite direction, apparently upon hearing the gunshots. They nearly walked into Fry's line of fire, Coffman says. In Kapelsohn's report he quotes from a landmark 1989 Supreme Court ruling, Graham v. Connor, in which the court observed that "police officers are often forced to make split-second judgments—in circumstances that are tense, uncertain, and rapidly evolving—about the amount of force that is necessary in a particular situation." Kapelsohn points out that Graham also held that an officer may use deadly force "when he reasonably believes his life or the life of another innocent person is in danger"—and that his "reasonable belief" should be judged from the perspective of an officer at the scene "rather than with the 20/20 vision of hindsight." Kapelsohn maintains that it was reasonable for Fry and Toth to assume that the carjacking Chatman was fleeing from had been committed with a weapon; according to the Bureau of Justice Statistics, 74 percent of carjackings are. He notes that the dark gray iPhone box Chatman was carrying is the color and size of many small handguns, and that suspects have been shot while holding "cell phones, pagers, black wallets, black or shiny metallic items . . . or other innocent objects" in shootings that have been deemed justified. An officer who believes a suspect has a gun doesn't have to wait—and shouldn't—until the gun is pointed at him before he fires, Kapelsohn writes, because a gun pointed "well away" from an officer "can be brought to bear on the officer and fired in a quarter of a second or less." Fry was asked in his deposition if Chatman turned his head when he made his "slight movement" to the right. The officer didn't recall him doing so. Chatman "rotated mostly his torso," Fry said. It was a "subtle turn." But because Chatman had in his hand what Fry assumed was a gun, "I was in fear of Officer Toth's life. I was in fear of my own life. And any pedestrians in the area, I was in fear of their life as well." And so he did not wait: "I plant both of my feet and I take a firing position with my weapon." Chatman was five-foot-seven and 133 pounds. He was 11 when he was arrested for the first time, in 2007, for criminal damage to property—the first of his 14 arrests as a juvenile, for charges ranging from criminal trespass to aggravated assault with a dangerous weapon. He'd been shot once before, in the leg, at age 14. Several people he was close to had died young; his arms and neck abounded in RIP tattoos. On his left arm another tattoo read you only live once so live it up. One of Fry's bullets entered the back of Chatman's right forearm and passed through it. Either the same bullet or another one entered his abdomen on the right side, fractured a lower rib, passed through his liver, diaphragm, pericardial sac, and heart, and came to rest next to his thoracic spine. He ran into the passenger side of the black car on Jeffery before falling to the street. Police said they found the iPhone box, with the phone in it, on the sidewalk not far from his body, and that it had been stolen during the carjacking. Fire department paramedics took Chatman to Northwestern Memorial Hospital, where he was pronounced dead at 2:43 PM. Linda Chatman filed a federal lawsuit after her unarmed 17-year-old son was fatally shot by a Chicago police officer. The carjacking had occurred at about 1:45 that afternoon. The Charger was parked near 76th and Essex. Its owner, 29-year-old Christopher Rankins, and a female friend of his were in the front seat; Chatman and two other males were in the back. 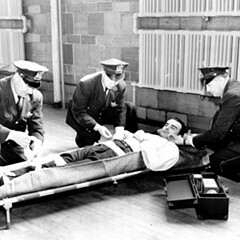 After a dispute between Rankins and the males in the back, Rankins was beaten and pulled from the car. Money and a cell phone were taken from him, and a jacket was taken from his friend. It's not clear whether Chatman participated in the beating, but ultimately he drove off alone in the car. 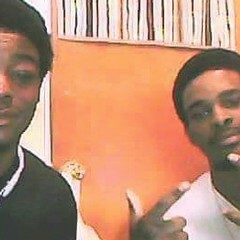 That evening police arrested Martel Odum, 23, and Akeem Clarke, 22, and accused them of the crime. They were charged with vehicular invasion, vehicular hijacking, burglary, and robbery. And, because they "set in motion a chain of events that caused the death of Cedrick Chatman," according to the indictment, they were also charged with his murder. The state's attorney's office is "passing the buck" with the murder charges, says Caroline Glennon, the public defender representing Odum. "They don't want to blame Cedrick's death on a police officer." As in all officer-involved shootings, the Independent Police Review Authority immediately opened an investigation into the shooting of Chatman. Even if an officer's actions ought not be reviewed "​​with the 20/20 vision of hindsight" for purposes of criminal or civil liability, they are reviewed administratively, to ensure that officers are not abusing their ability to use deadly force. IPRA investigates misconduct complaints against officers as well as officer-involved shootings. Its predecessor, the Office of Professional Standards, was a unit of the Chicago Police Department that answered to the superintendent. In 2007, after police officers were caught on videotape perpetrating two barroom beatings, critics charged they were emboldened by the fact that OPS rarely found police officers guilty of misconduct. OPS also ruled almost invariably that officer-involved shootings were justified. Mayor Richard M. Daley responded to the criticism from the barroom beatings by creating IPRA, an agency independent of the police department. But many of IPRA's investigators were former OPS investigators, and like OPS, IPRA has found almost all officer-involved shootings to have been proper. In his 11 and a half years as a police officer, Fry has had 16 misconduct complaints lodged against him, most of them accusing him of excessive force. None of these complaints have been sustained. He's also been sued five times not counting the Chatman suit. The city settled all five suits, at least four of them with a payment to the plaintiff. It's hard to know what to make of this record. When a complaint isn't sustained, it doesn't necessarily mean the charge was untrue; it means, according to IPRA, that there was "insufficient evidence to prove or disprove the allegation." On the other hand, an allegation is only that. Likewise with lawsuits against police officers: they're allegations, and a cash settlement paid by the city is not an admission of guilt; it's often a calculation that settling will be cheaper than continued litigation. But one suit against Fry is of special note, because it centered on another shooting he was involved in, whose victim was another unarmed 17-year-old. Shortly before 10:30 PM, the officers saw three black males walking on Springfield toward Adams. One of the males had on a down jacket, which made the officers suspicious because of how warm it was, they'd note in a subsequent arrest report. The jacket was also drooping on the right side, and the person wearing it was holding that side, which made them suspect he had a gun, they'd write. When they approached the three males for a "field interview," all three bolted. The one in the jacket, 17-year-old Eric Tonson, dashed into a nearby schoolyard, with Shrake behind him and Fry behind Shrake. Orkowski drove around the block to head the kid off. Tonson, five-foot-four and 120 pounds, clutched his right side throughout the chase, the officers would report, and also tossed two small plastic bags to the ground. Orkowski pulled up in the squad car outside the far end of the schoolyard, and Shrake and Fry were able to corner Tonson in a dark alcove behind the school. According to Shrake and Fry, Tonson, 15 to 20 feet away, turned toward them and pulled up his jacket with his left hand. Shrake and Fry saw something shiny. Tonson then reached into his waistband with his right hand and extended his arm at the officers. Fearing for their lives, they fired their semiautomatics—Shrake twice, Fry once. Tonson fell to the pavement, bleeding profusely from a bullet wound in his neck. The officers handcuffed him and discovered he was unarmed. The shiny object "was revealed to be the arrestee's shiny belt buckle," the officers wrote. The bullet passed through the flesh beneath Tonson's chin. He was hospitalized three days, but the injury wasn't severe. Police never determined whether the bullet that hit him was fired by Shrake or Fry. Until 2010 the Chicago Police Department conducted "roundtables" after officer-involved shootings. The proceedings were neither taped nor recorded by a court reporter. Police commanders and lieutenants, an assistant state's attorney, and an investigator from OPS or IPRA heard from the detectives investigating the shooting, from the officer or officers involved, and sometimes from other witnesses, after which the department reassured the public that the officer's use of deadly force had been scrutinized and, nearly always, found to have been within department policy. If the victim of a shooting had a criminal record, his rap sheet was distributed to everyone at the roundtable. If the officer who'd shot him had a checkered history of misconduct complaints, suspensions, or even shootings, the roundtable participants would not be apprised of it. In a deposition in a civil suit in 2005, Michael Chasen, then deputy chief of detectives, was asked a hypothetical: If a shooting officer had shot eight other people in the eight weeks before the roundtable, would the roundtable participants be informed? No, Chasen said—because that information was "not germane." It's not completely clear why the CPD stopped holding roundtables in 2010, but it seems related to a larger dispute between the FOP and IPRA regarding how soon, and under what circumstances, officers involved in shootings had to give statements to IPRA about the shootings. In a hearing on that matter in December 2010, an FOP officer testified that the union and the department agreed that the roundtable "had outlived its usefulness." A roundtable was convened four hours after the Tonson shooting. Shrake and Fry gave their accounts. Orkowski said he hadn't seen the shooting. A detective reported that two plastic bags containing a trace of suspect narcotics had been found right where Shrake and Fry had seen Tonson toss them. Tonson had been charged with possession of a controlled substance. At the conclusion of the roundtable, an acting assistant deputy superintendent found the shooting to have been within department policy. 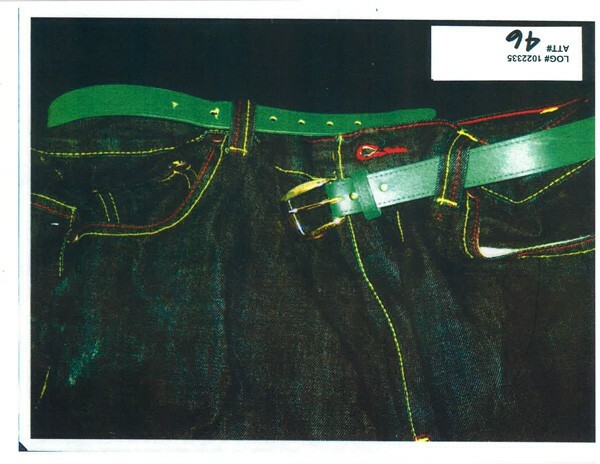 ​The belt ​Eric Tonson ​was wearing the night he was shot in the neck, ​​​​shown ​here ​in an Independent Police Review Authority document​. Two Chicago police officers ​said they ​saw ​the shiny buckle ​before ​firing at the 17-year-old. On September 20, 2007, the Illinois State Police crime lab reported that the suspect narcotics contained no narcotics. The drug possession charge against Tonson was dismissed. Later that month IPRA investigator Shykela Carter interviewed Tonson in the presence of his father. Tonson said he was with his cousin and a friend of his cousin's on the night in question. He'd worn the down jacket because it was hooded and it had been raining. He ran from the officers because he'd heard about police mistreating people in the neighborhood. He said he had nothing in his hands, threw nothing to the ground, and never reached for his waistband or pocket. Tonson told Carter that when he was boxed into a corner of the schoolyard, one officer told him to put his hands in the air, and he complied; but then another officer told him to get on the ground. When he lowered his arms to do so, the first officer shot him. As he lay on the ground, he heard an officer ask the one who shot him why he'd done so, and the officer who shot him said it looked as if he was reaching into his pocket. Tonson sued the officers in July 2008. According to the suit's complaint, Tonson, his cousin Shaquan, and a friend of Shaquan's named Derius, all minors, had just picked up a video game from Derius's home and were headed to Shaquan's home. A squad car suddenly drove up onto the sidewalk next to them, striking Shaquan in the knee. In a May 2009 letter to the city's lawyers before a settlement conference, Tonson's lawyers maintained that the officers had concocted a story to justify their shooting of an unarmed minor. That's why they claimed Tonson's jacket was drooping on one side, the lawyers said. They added: "We know this is false because Eric did not have anything on his right side to weigh it down." The city settled the suit in August 2009 for $99,000. 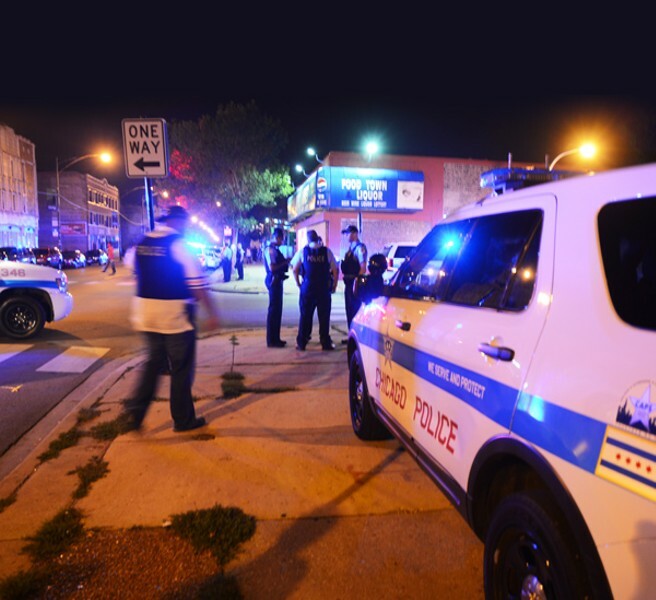 IPRA still had to determine whether the shooting had been within department policy. A 2008 report published by the Department of Justice stressed that officers involved in shootings ought to be "physically separated as soon as possible to avoid even the appearance of collusion," and should be compelled to give audiotaped interviews by investigators "as soon as is practical and reasonable." But IPRA didn't interview Shrake, Fry, or Orkowski until the summer of 2011—almost four years after Tonson was shot. Shrake and Fry, who were accompanied by an FOP lawyer, were interviewed separately by IPRA investigator Wilbert Neal. Shrake told Neal that right before the shooting, "I kept telling [Tonson], 'Put your hands in the air.' " Fry told Neal, "We were both telling him to get down on the ground." Fry said he'd had no choice but to shoot. When he saw the shiny object as Tonson reached for his waistband, "I was in fear for my life as well as my partner's life." Orkowski told Neal that although he didn't see the shooting, Shrake and Fry later told him about Tonson's "big, shiny belt buckle," and that after he reached toward his waist, he "came out with his thumb up and his finger extended like a gun." After Tonson was shot, Orkowski said, Shrake handcuffed him, "and officer Fry was the guard officer, and I was the one praying that he had something, had a gun." IPRA investigator Carter issued her final report on October 19, 2012, more than a year after the officers were interviewed. In her conclusion, Carter adopted the version of the incident given by the three officers, ignoring Tonson's version altogether. If she was skeptical about the idea that Tonson would roll up his jacket, reach for his waist, and thrust his arm at two armed officers, she didn't say so. Nor did she wonder how Tonson's big, shiny belt buckle—which was two inches by two inches—could have gleamed in the dark. The officers had rightly feared for their safety, she wrote; and the allegation that the shooting was unjustified was unfounded. Fry and Shrake were cleared more than five years after Tonson was shot, and less than three months before Fry would fatally shoot Chatman. I asked IPRA's spokesperson, Larry Merritt, if I could talk with investigators Neal and Carter about the Tonson investigation. He told me to direct my questions to him instead. I did so, but he declined to answer most of them. Merritt did say that the Tonson investigation had taken too long. It was assigned to an investigator with "one of the higher caseloads in the office," he said in an e-mail. "The delays in interviewing the officers after the initial incident, delays in the review of the case by managers, and, ultimately, the closing of the case, were of great concern." But those kinds of problems are history, Merritt said. The agency has made a special effort to close officer-involved shooting cases in particular, he added, noting that a combined 208 such cases were closed in 2013 and '14. Most of the questions I had about the Tonson investigation, however—the questions Merritt wouldn't address—pertained not to how long it took but to whether the probe had been impartial and thorough. Why weren't the officers ever pressed on what might have accounted for the distinct droop they said they saw in Tonson's pocket? Why wasn't Tonson's version of the incident given more consideration? I also sought to interview IPRA's chief administrator, Scott Ando, about whether officer-involved shooting investigations have improved since the Tonson investigation. Ando declined to comment. Timeliness means little if the investigations are biased. I asked Merritt how many of the 208 officer-involved shooting cases that were closed in the last two years had culminated in a finding that the shooting had been justified. All of them, he said. Some police shootings are "lawful but awful," Ilana Rosenzweig said—they're legally justifiable, because the officer had a reasonable fear of death or serious injury, but they could've been avoided. 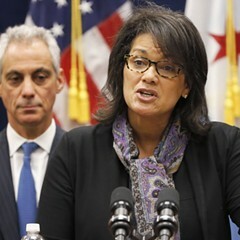 Rosenzweig was working as a lawyer for the Los Angeles County Office of Independent Review when Mayor Daley picked her to be IPRA's first chief administrator in July 2007. She led the agency until May 2013, when she moved with her family to Singapore. She told me she came to Chicago believing it was important not only to determine whether police shootings were justified, but also to study them holistically. 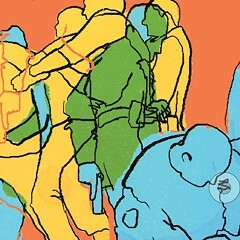 Perhaps changes in training, policy, or supervision would reduce their incidence. She'd sat on a panel in LA that reviewed hundreds of police shootings for that purpose. Most major law enforcement agencies have such panels, she said. But Chicago did not, she learned when she arrived. If OPS found a shooting to be within policy, "the investigation was simply closed and filed away," she told me. "No one in the CPD command structure, outside OPS, saw it." At Rosenzweig's prompting, the department created a "Force Analysis Panel" in '09, when Jody Weis was superintendent. Beginning that March, supervisors in several CPD divisions were briefed by IPRA on police shooting cases the agency had closed, to consider larger lessons. After its promising beginning, however, CPD had convened the panel only once in 2011 and once in '12, Rosenzweig noted in 2012, in her final annual report for IPRA. Some members of the department, she told me, "felt, 'What can you learn from IPRA? We're the cops, they're not.' " She said she sensed that FAP had lost support from the "higher ranks" within CPD. She'd heard that the current superintendent, Garry McCarthy, is briefed by detectives after some shootings, but there's now "no formal systemic review, and in at least several instances the briefing was based on information that was revealed to be incomplete or inaccurate through IPRA's further investigation." Rosenzweig allowed that IPRA had found officer-involved shootings to be out of policy in only "a handful" of cases while she was here. (The agency conducted 272 officer-involved shooting investigations from September 2007 through the end of 2012.) She wasn't sure that officers had been disciplined even in those few cases, noting that they had several avenues for appeal. The agency was "chronically understaffed," she said, and it was "difficult to do thorough investigations with the level of resources we had." That made the work of a body such as FAP all the more important, she said. "There are some officers who have a bad intent, and the role of any accountability system should be to identify such officers and remove them from the force. But the vast majority of officers don't go out there intending to do something wrong. They just need better training and supervision." 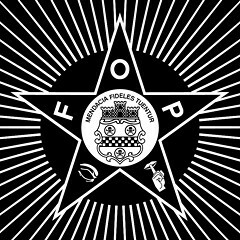 ​I called CPD’s news affairs to ask why FAP had been disbanded. The spokesperson I talked with had never heard of it. She later responded in an e-mail that, "The only information I was able to obtain was that there currently is no Force Analysis Panel." The trial of Martel Odum and Akeem Clarke for robbery, vehicular hijacking, and the murder of Cedrick Chatman, is tentatively set for July 27. As noted earlier, the murder charge rests on the notion that when Odum and Clarke allegedly committed the robbery and hijacking, they "set in motion a chain of events" leading to Chatman's death. A legal defense against that type of charge is that there was a break in the chain of events between the predicate crimes and the subsequent death. Courts have held that if the initial crime or crimes had clearly been concluded—because the offenders had reached "a place of safety"—that constitutes a break in the chain of events. Odum's and Clarke's lawyers noted in a pretrial motion to dismiss the murder charges that their clients were at a place of safety—Clarke's mother's house—when Chatman was killed. The motion to dismiss the murder charges was unsuccessful, but the defense can still be used at trial. The public defenders representing Odum and Clarke may also argue at trial that Fry's shooting of Chatman—"an illegal act covered by a badge," as Odum's lawyer, Caroline Glennon, describes it—qualifies as a break in the chain of events. Glennon has viewed the videos of the shooting, and she says she doesn't think it shows Chatman turning in Fry's direction. "The only turn I see him making is to round the corner. Cedrick's intent is clear—he's trying to get away." More than two years after the shooting, IPRA still hasn't concluded its investigation, and because the probe is still open, the agency won't discuss it. Records disclosed in Linda Chatman's civil suit suggest that IPRA first interviewed Fry at length last July, 18 months after the shooting. He's still with the police force, according to CPD news affairs, ​but the office wouldn’t say in what capacity. The lawyers in Linda Chatman's lawsuit are still taking depositions. There have been settlement conferences between her lawyers and the lawyers for the city, but according to Coffman, who's representing Chatman, the parties are far apart. The suit seeks a sum "in eight figures," Coffman says. "I hope we win the lawsuit, but the money don't really matter 'cause it ain't gonna bring my child back," Linda Chatman told me recently. After Cedrick was killed, she and her family moved to an apartment on 63rd Street in West Englewood. But that felt even more dangerous than South Shore: "A lot of the gangs just stand in front of your doorway. I come home from work, I gotta tell 'em, 'Excuse me, let me get into my house.' " So last fall, the family moved to an apartment on Harvard Avenue in Greater Grand Crossing. She and two of her daughters and two grandchildren live on the second floor of a redbrick two-flat next to a vacant lot. Greater Grand Crossing is another poor, high-crime neighborhood, but "a lot of older people live on this block. I definitely feel safe. I haven't seen the summertime yet though." 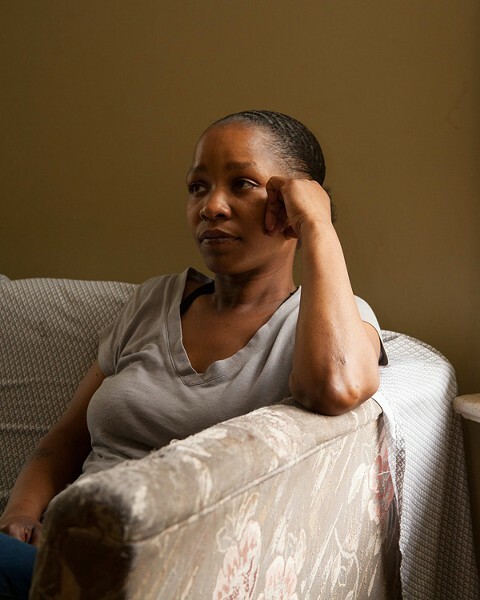 She hasn't viewed the videos of the shooting that took Cedrick's life, nor does she want to. Cedrick was the youngest of the four children she raised alone. Cedrick's father was in and out of prison and was never involved in his son's life. Linda Chatman, who's 40 now, got by with the help of public aid and food stamps when her children were young. Ten years ago she got her current job, as a "transporter" at O'Hare—she helps disabled people get on and off airplanes. She makes minimum wage, plus tips, and likes the job, she said, because "I love being around people." She said she's not sure why Cedrick started getting in trouble at an early age. He spent time in the juvenile detention center on several occasions. When she'd visit him, she'd tried to talk some sense into him, she told me. He'd promise not to get in trouble again. But trouble was never far away in the neighborhoods the family lived in. In 2010 Cedrick was shot in the leg while out playing with a friend. The bullet nicked an artery, she said, and he nearly bled to death. Her lawsuit asserts that her son's wrongful death has deprived her of Cedrick's "companionship, friendship, comfort, guidance, love and affection," and that she "will continue to suffer great loss of a personal and pecuniary nature." Besides contesting that Cedrick's death was wrongful, the city's lawyers also dispute that it represents much of a pecuniary loss. The lawyers have retained an economist who has analyzed the "alleged economic damages" and found them to be minimal. If the death is judged to have been wrongful, that will be an issue in assessing damages. "Studies have shown that individuals raised in situations similar to Cedrick Chatman's tend to have less economic mobility," the economist, Dwight Steward, wrote in his report. Steward considered the earnings support that Linda could have expected from Cedrick, and the earnings he might have contributed to his estate. The projected economic damages ranged from $46,377 to $375,028. ​​But Steward emphasized that Cedrick likely would have earned “only a fraction” of that, given what his background suggested about his future. Pointing to Cedrick's 14 juvenile arrests, Steward noted that, "Social science research shows that individuals who have run-ins with the law will experience lower earnings and earnings growth." Cedrick's father's history of incarceration and lack of involvement in Cedrick's life helped create a "fractured family support structure" that also was likely to limit his earnings potential. The high school Cedrick was attending, Hyde Park Academy, had a subpar graduation rate, and that, combined with Cedrick's low grades and history of juvenile detention, made it doubtful that he would have graduated high school—further reducing his economic prospects, Steward observed. Cedrick was clearly headed in the wrong direction. But he was only 17. He was killed as he tried to turn a corner. Lucy Wang helped research this story. On a summer night in 2011, Chicago police officer Marco Proano shot 19-year-old Niko Husband outside a south-side dance party. The Independent Police Review Authority said the deadly shooting was justified. Then a civil jury took up the case.